Spacer is an innovative stand-alone parking platform that uses a pit to let you park two cars completely independently. With Spacer you can easily remove a car parked on the bottom platform, without disturbing the car on the upper platform. With its completely flat platform, hot dipped galvanised on both the upper side and underneath, Spacer ensures years of safe yet high performance for lifting vehicles. Once the platform moves to its correct position it’s mechanically locked into place, allowing it to be utilised as a trafficable area and complying with relevant Australian Standards. 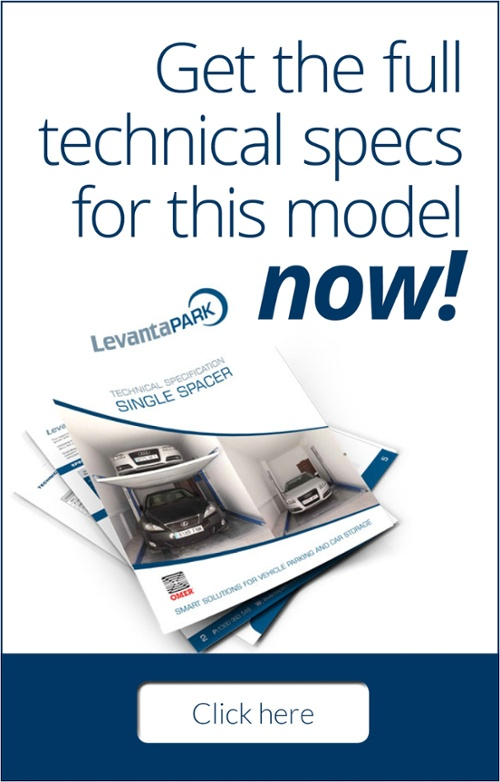 An outstandingly robust system, Spacer can accommodate a car weighing up to 2.5 tonnes on each platform. 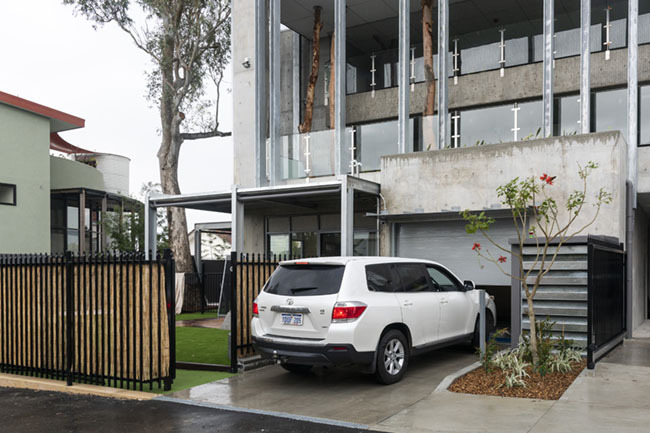 Spacer is a very practical, easy-to-manage parking system. Like the Double Spacer , Spacer uses a hydraulically operated mechanical block at the top of the column to ensure platform safety at all times. The piston that locks the platform is Spacer controlled by a limit switch. This safety system checks whether the piston is completely inside/outside its seat and functioning properly. If the safety system detects that this is not the case, the Spacer platform is automatically blocked. The Spacer mechanical locking piston on the floor of the platform sets the unit in safety mode. Spacer ’s clever design reduces wear and tear, and increases the life of the unit. As soon as the piston exits the column to engage the shoulder and block the unit, the oil is discharged out of the entire hydraulic system. In this way, the circuit does not need to remain pressurized and put strain on the unit. 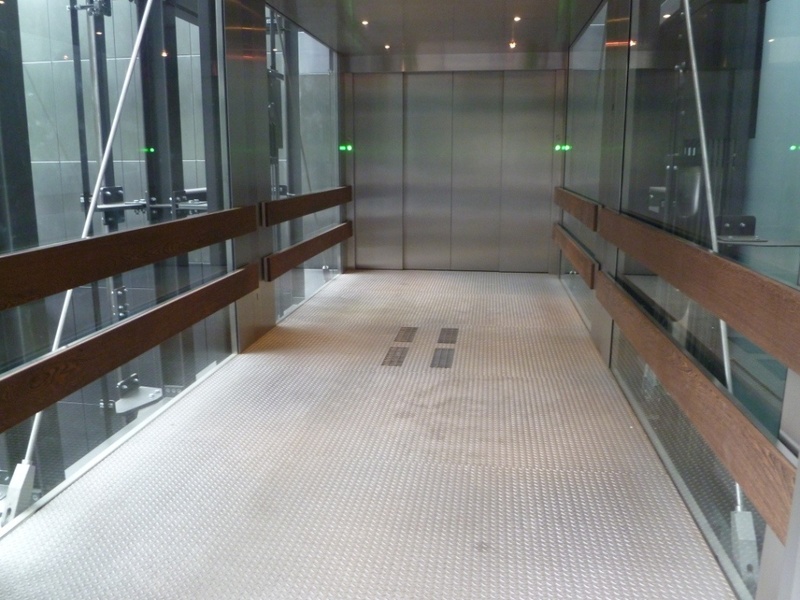 The sturdy Spacer is a high quality, extremely safe parking lift. The column slide shoulder is solidly secured to the platform and the outside of the piston shaft, offering reliable functionality. To ensure complete stability, the Spacer columns are secured to the wall with both brackets and chemical anchors.